The System of Rice Intensification (SRI), an agroecological management system developed in Madagascar some 30 years ago for irrigated rice, is anomalous in that it enables farmer to produce more output with less input. Yields are usually raised by 50-100%, and often by multiples instead of increments. This is accomplished not by introducing improved varieties (new and better genotypes) or making more agrochemical inputs (fertilizer, pesticides, etc.) Instead this is achieve by making reductions in seeds (by 80-90%), water (by 25-50%), agrochemicals (by 50-100%), and often even labor. The resulting plants are not only more productive, but more resistant to biotic and abiotic stresses, so they can withstand better the growing hazards of climate change. This all sounds “too good to be true,” but it is now well confirmed in the published literature (http://sri.ciifad.cornell.edu/research/index.html#journals) and in field experience. The ability of SRI modifications in crop management to elicit more productive phenotypes from existing genotypes has now been seen in over 50 countries (http://sri.ciifad.cornell.edu/countries/index.html). This presentation will explore how this complex phenomenon of agricultural technology change can be understood in “systems” terms as it has manifestations from the level of molecular genetics to national and international markets, and integrally relates biophysical realms with social, economic and cultural dynamics. Norman Uphoff is professor emeritus of Government and International Agriculture, having been on the Cornell faculty since 1970. 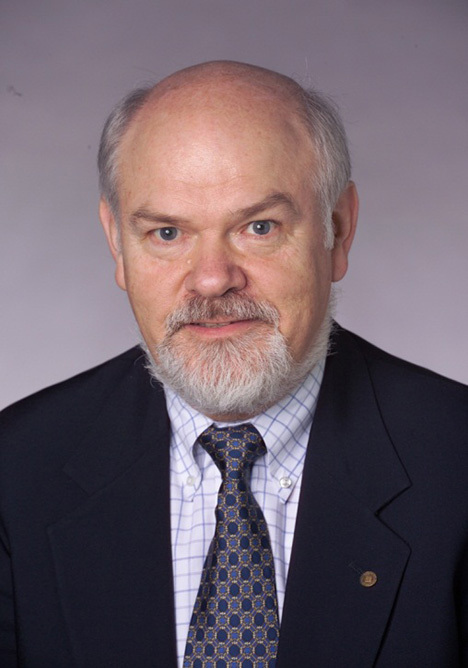 He is currently director of CIPA, the Cornell Institute for Public Affairs, Cornell's MPA program, and served the director of CIIFAD, the Cornell International Institute for Food, Agriculture and Development, from 1990 to 2005. In 1994, he was invited to keynote the 16th meeting of the International Society for the Systems Sciences (ISSS), meeting in Hawkesbury, Australia. A nice talk that suggests transdisciplinary possibilities of research and action that Cornell should be doing more of.